Active slip / fitted brief offers a high level absorbency at an unbeatable price. 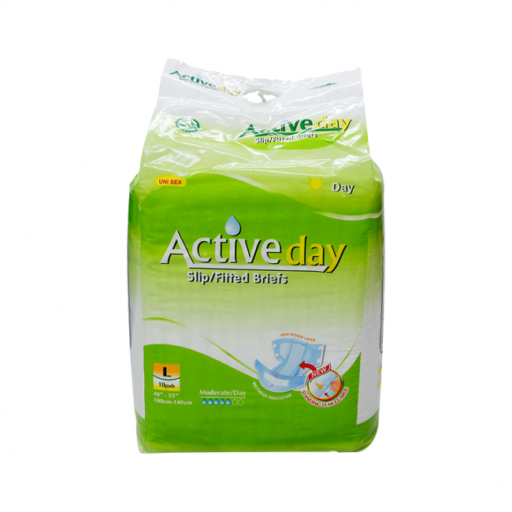 • Super Absorbent – Maximise absorbency to keep skin dry and neutralise odour. • Non Woven Layer – Increase distribution speed, keeping skin dryer. • Waterproof Leg Elastic – ensure protection against leakage. • Waist Band – Additional protection around stomach and back.